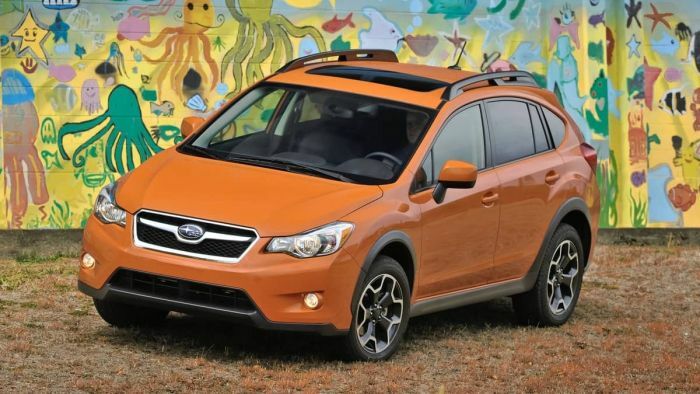 Subaru is recalling certain Crosstrek, Impreza, BRZ models due to a faulty valve spring in the engine. Scion FR-S is recalled by Toyota. If your vehicle is on the list, it could take over a year to get repairs done. If you received a notice from Subaru about a recall on your 2012-2014 vehicle, it could take over a year to get the repairs done. Subaru of America announced a recall back in November affecting 2012-2014 Subaru Impreza, 2012-2013 Impreza wagon, 2013 XV Crosstrek, 2013 Subaru BRZ, and 2013 Toyota Scion FR-S vehicles. The engine valve springs in these vehicles may fracture causing an engine malfunction or a possible engine stall. This is part of a massive global recall affecting the FB20 2.0-liter Boxer engine used in all these vehicles. There are 165,534 vehicles in the U.S. potentially affected according to the NHTSA. Toyota is recalling around 25,000, 2012 Scion FR-S U.S. models. Toyota said it would contact affected U.S. owners by mail starting in December. Subaru also began sending out recall notices late last year. After receiving the recall letter, one Subaru owner scheduled the next available appointment with Burlington Subaru to get the defect fixed: Nov. 30, 2020, almost two years out. ”We’re hoping we can get additional tools in the future so we can perform more than one a day," Hunter added. According to Subaru, each fix could take between 7 and 13 hours to complete, “But they have yet to start making the repairs” Hunter said in the email. Dominick Infante, Subaru of America Director of Communications said, Subaru is "actively working on getting the tools out there.” Infante estimated the number of vehicles in the U.S. that are affected is closer to 140,000. He also said, the valve springs actually failing is a very rare occurrence. Subaru of America says since December, they’ve had only 11 reports of the springs actually failing, which is less than a 0.008 percent incident rate. I have a 2013 Crosstrek and received the recall letter for my valve springs. I called the dealership right away and they had my car in the following Friday and had my car back to me by Monday. Not true....parts and tools are available and all dealers have them. We have been doing repairs for the last two weeks. We've done over 20 already and do at least 3 a day....with 1 tool. So, I either take my chances with the dealer "technician" being able to successfully complete this complex repair or I play the odds of being in the .008 percentage. Thanks Subaru, but no thanks. I called every local dealer back in January and not a single one of them can perform service until 2020. Where are you located? Come to FL and I will have it done in a few days....and provide you a loaner! You should come and set up shop in Colorado. You'd make a killing. Brought our Impreza in for scheduled recall appointment yesterday, were told that repair could take up to 3 WEEKS due to complexity of repair, limited trained techs and limited parts and equipment. When we made the appointment we were told it would take 2-3 days. They gave us a brand new Outback as a loaner, so I guess we're okay, but were a bit taken aback by the 3 week estimate. We're in Massachusetts, btw.